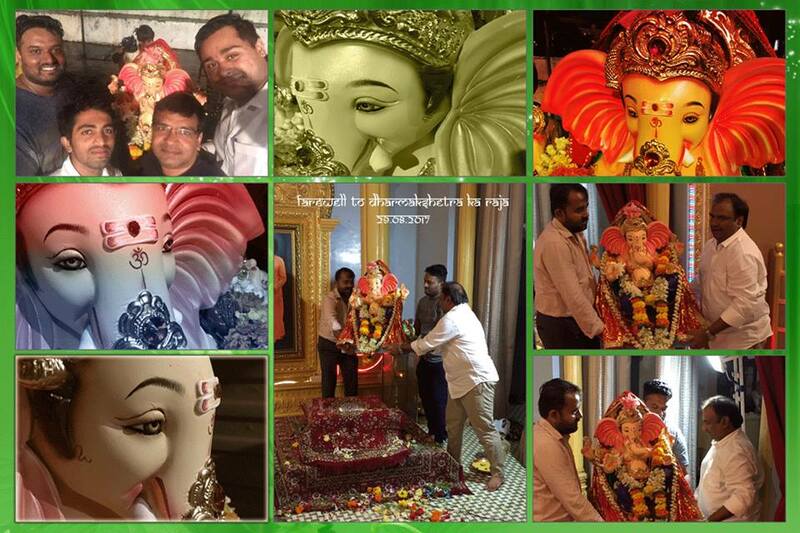 Ganpati Bappa Morya, Pudchya Varshi Lavkar Ya! Lord Ganesha is one of the most loved incarnations of the Lord. 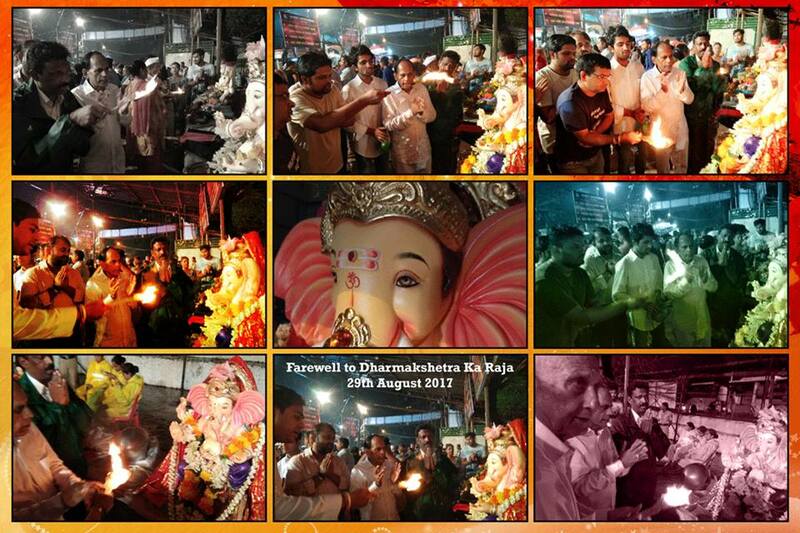 After his 5-days sojourn at the blessed Dharmakshetra venue, devotees of Sri Sathya Sai Seva Organisation Mumbai bid a fond adieu to Lord Ganesha on Tuesday 29th August 2017 amid loud chants. Inspite of the heavy rains which bought Mumbai to a standstill with waist deep water logging ...in several areas of city, slowing down traffic movement and delaying flights and the suburban railway system leaving thousands stranded, it did not dampen the spirit of the devotees who thronged at Dharmakshetra. 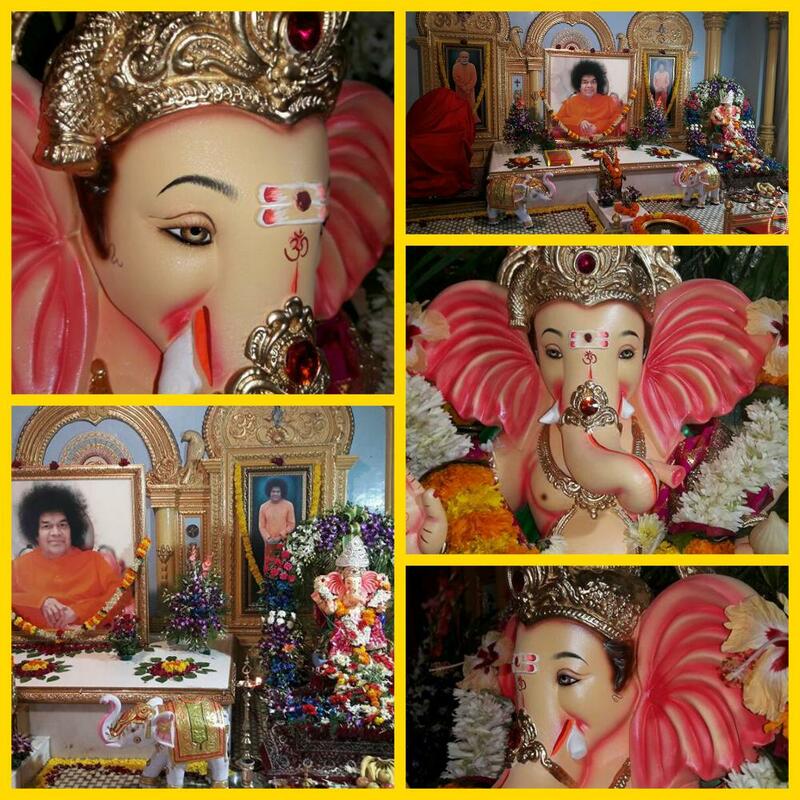 After performing the farewell ‘Arti’, Sai Ganesha was immersed at Lokmanya Tilak Ganesh Visarjan Talav, Jogeshwari (East), Mumbai. 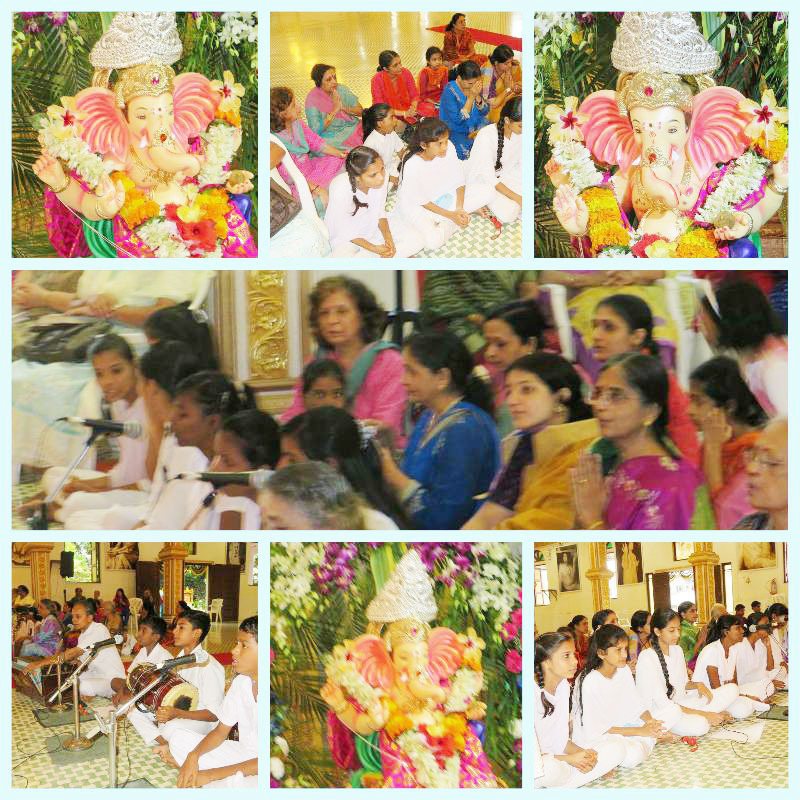 Ganapati Bhajans by Zone 1 and students of Dharmakshetra School on 26th August 2017 at Shantideep Dharmakshetra. 6 to 7.00 pm Bhajans Andheri East, West and Goregaon Samithi. 6.00 - 7.00 pm Bhajans Zone 1 (Fort, Walkeshwar, Worli & Shivaji Park Samithis). 5.30 - 7.00 pm Bhajans 4 Samithies of Zone 3 i.e. Mulund, Ghatkopar, Chembur and Sion Wadala Samithis. 29th Samarpan Program - Talk by Sri Ruchir Desai at Dharmakshetra - 20th August 2017. We were indeed fortunate to have Sri Ruchir Desai as our Guest Speaker for the 29th Samarpan program was held on Sunday 20th August 2017 at Dharmakshetra. Blessed to be at Bhagawan's lotus feet for over three decades. Sri Ruchi Desai shared his personal experiences & learnings in his talk. Besides innumerable interactions with Bhagawan as a student and as a lecturer. Sri Ruchi was blessed to accompany Bhagawan on many trips to Kodaikanal and Mumbai. Sri Ruchir Desai hails from Mumbai. He joined the erstwhile Sri Sathya Sai College in the year 1981 in the Brindavan Campus for the programme of Bachelors in Commerce. A gold medalist in his graduation and also in post graduation, he was hand picked by Bhagawan to teach at the Brindavan campus Ruchir Sir is also a qualified Cost Accountant and the first recepient of the 'Sai Krishna Best Teacher’ award of the University at Prasanthi Nilayam. Apart from his academic rigour. Sri Ruchir Desai is also a gifted orator and has been blessed to share his thoughts & experiences on innumerable ocassions in the Divine physical presence at Brindavan and at Prasanthi Nilayam. Presently, he serves as an Associate Professor in the Commerce Department of the Brindavan Campus of Sri Sathya Sai Institute of Higher Learning. He also has been heading the service group that operates the General Stores & Book Centre catering to the devotees & students in the Brindavan Ashram. 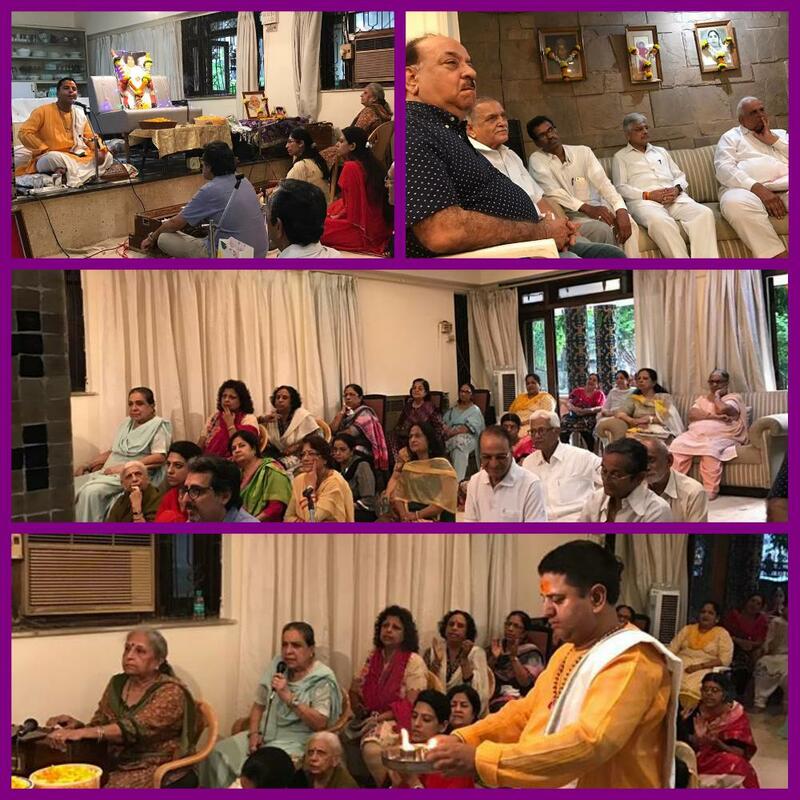 Sri Ruchir Desai narrated his close experiences with Bhagawan for over 90 minutes to the devotees who assembled here in spite of the heavy rains. 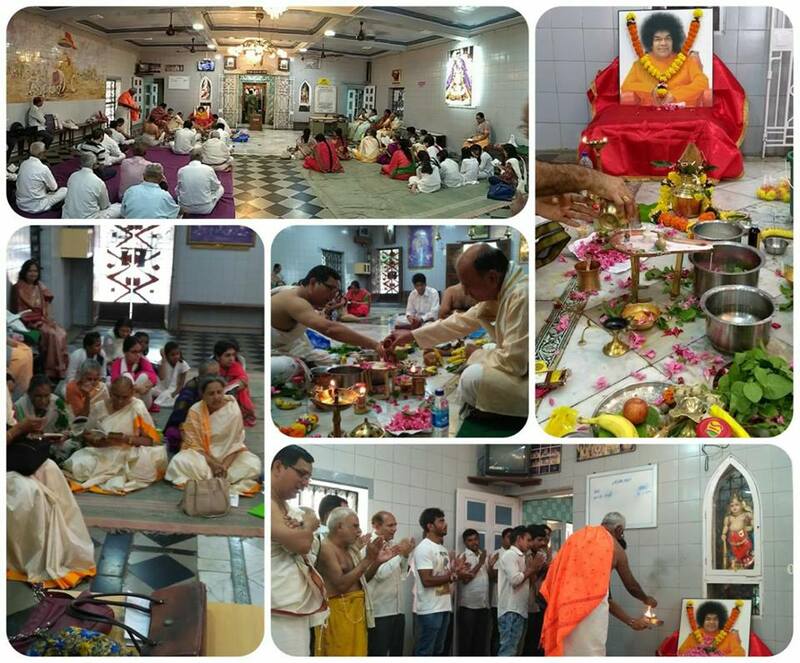 Ekadashi Rudram chanting program along with Linga Abhishekam was conducted at Jogeshwari East on Sunday, the 13th by Jogeshwari, Goregaon and Malad Samithi . 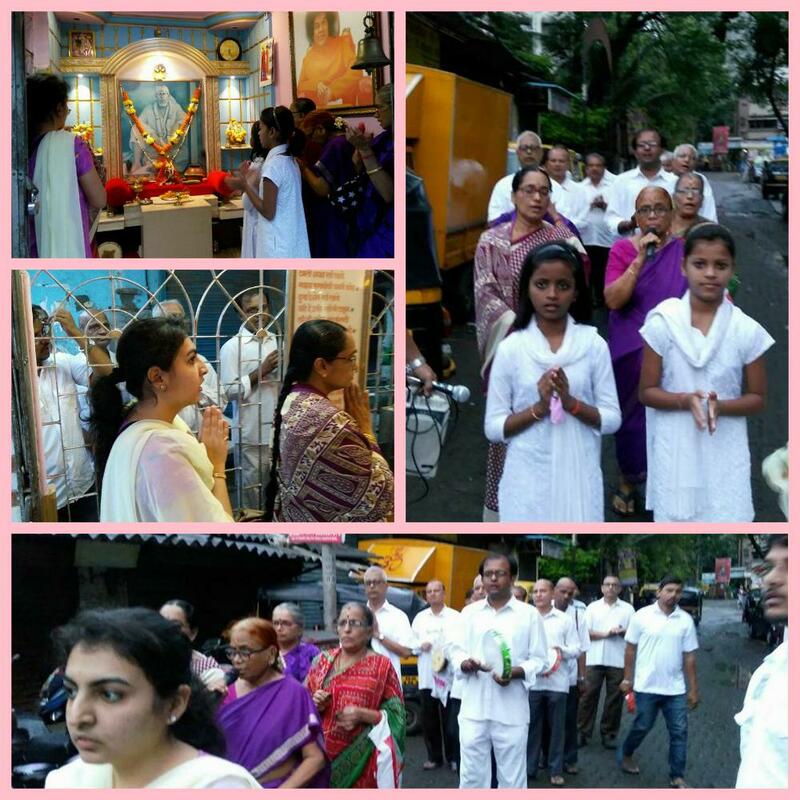 As a part of celebrations of the Independence Day as well as Krishna Ashtami, Nagar Sankeerthan was held on 15th August 2017 by Jogeshwari, Goregaon and Malad Samithi. 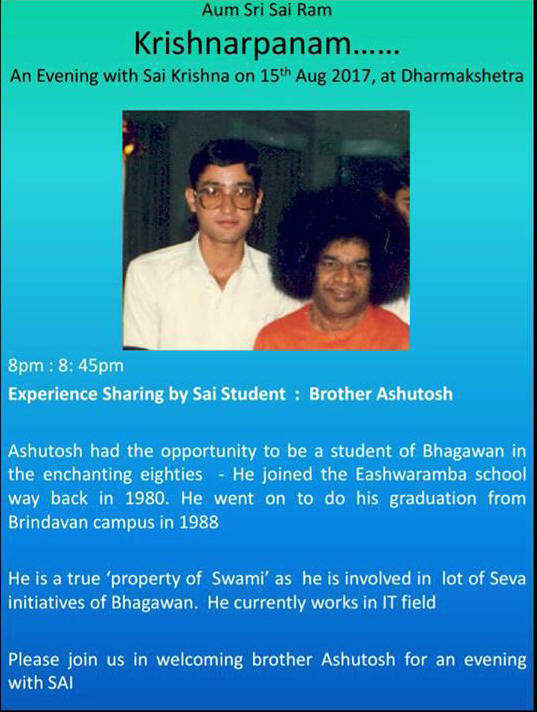 Also Talk by Brother Asutosh at 8 pm. 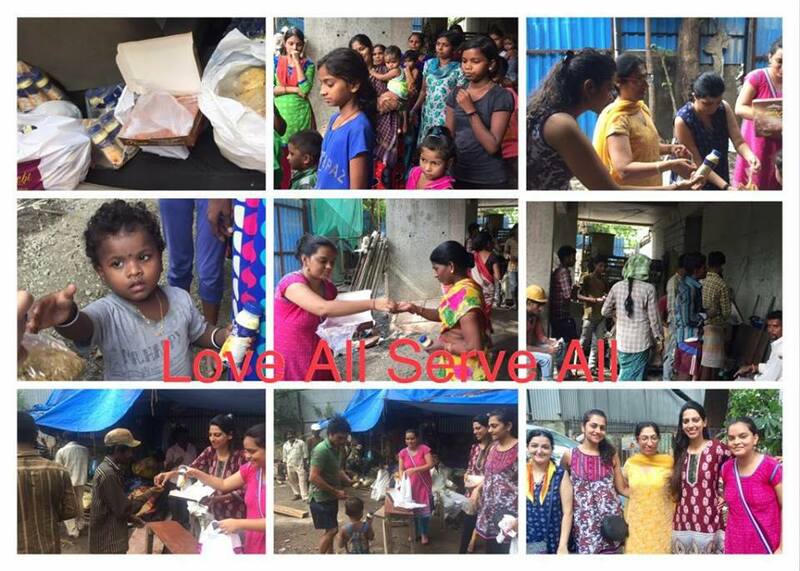 On the eve of Janmashtami, Sai sisters from Bandra, Khar and Santacruz Samithi got together and distributed Prasad: Rice Milk and Ladoos at 2 Construction sites in Khar West. 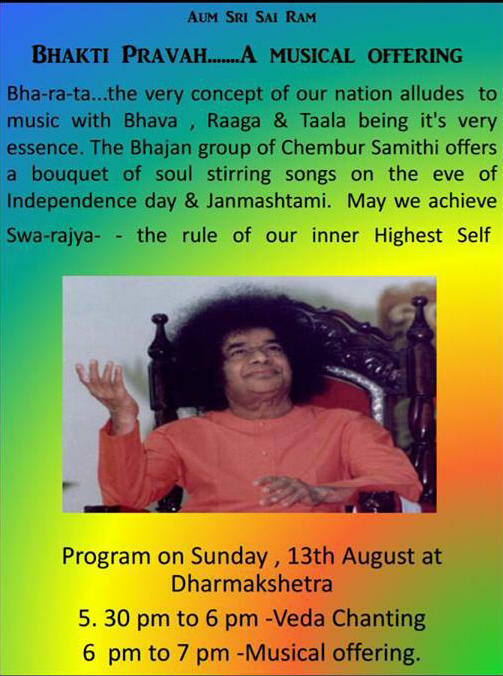 Bhakti Pravah - A Musical Offering at Dharmakshetra by Chembur Samithi on Sunday 13th August 2017 from 5.30 pm onwards. Timings from 10 am.to 1 pm followed by Mahaprasad. Please participate and inform others. 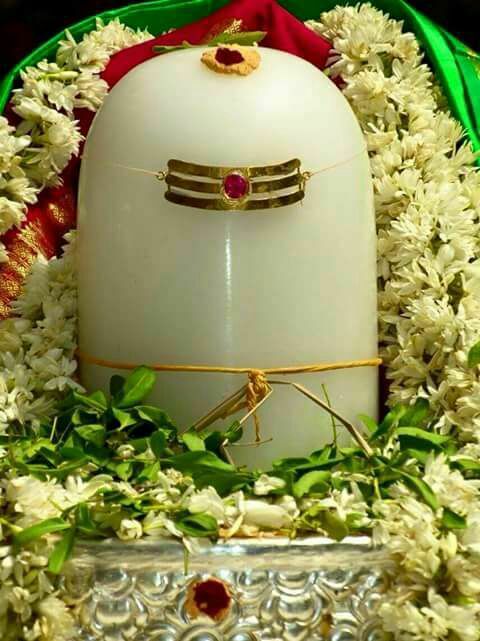 Sri Varalaxmi Vratam was celebrated on the second Friday of the Holy Month of Shravan i.e. on 04.08.2017. Since it's advent five years ago, it has been an occasion where Worli Sai Family reached out to the masses to celebrate the glory of our beloved Swami. 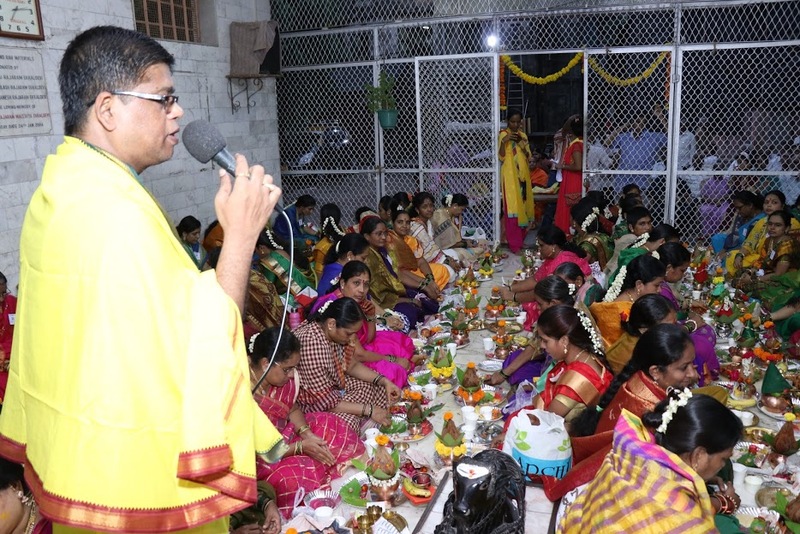 On this occasion, about 140 women worshipped Goddess Lakshmi with utmost devotion offering sweets and flowers to a Kalasham (representing Goddess Laxmi). They observed this traditional festival praying Varamahalakshmi (the Goddess who grants boons to devotees) for her blessings in the form of wealth and well being of their family. 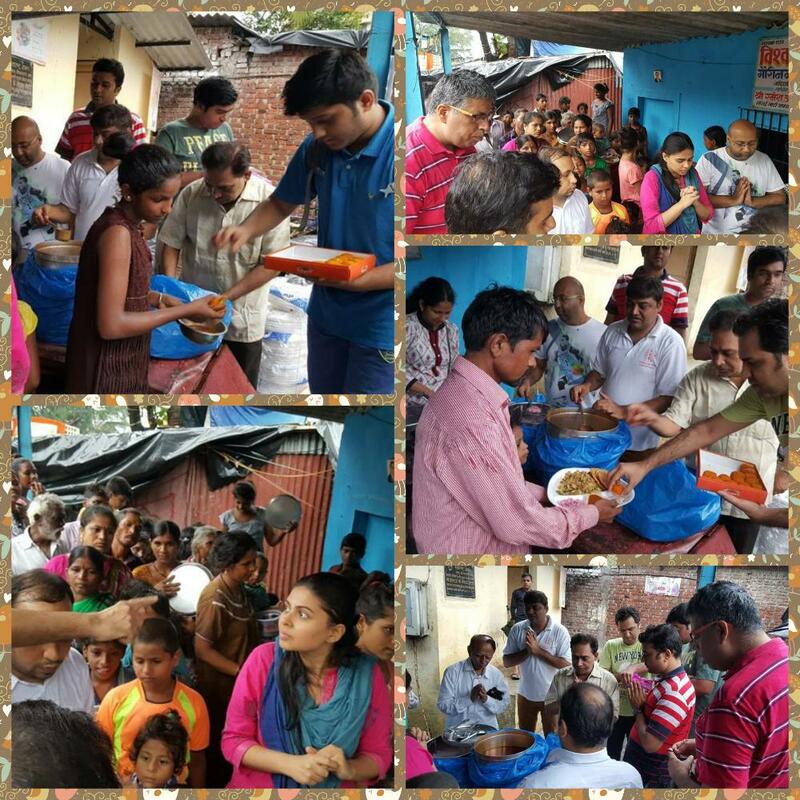 Mulund Samithi, Mumbai has been celebrating Raksha bandhan at Mankhurd children's home since 2001. 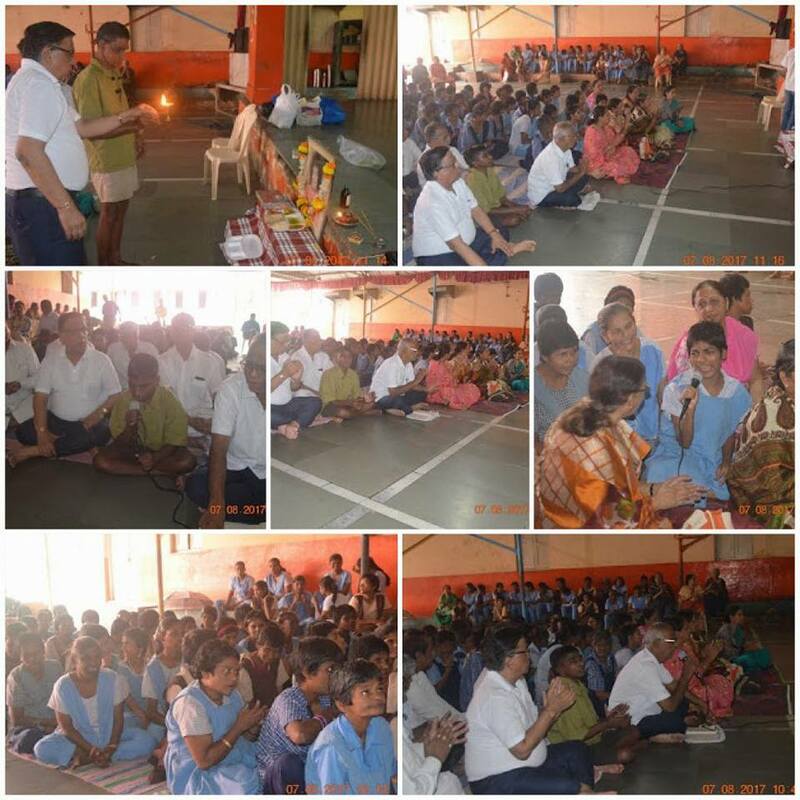 Today, approx 25 sevadals and 25 staff of the home participated. The mentally challenged children, approx 170 girls and 130 boys are aged between six and sixty. They love sai bhajans and some of them sing too. 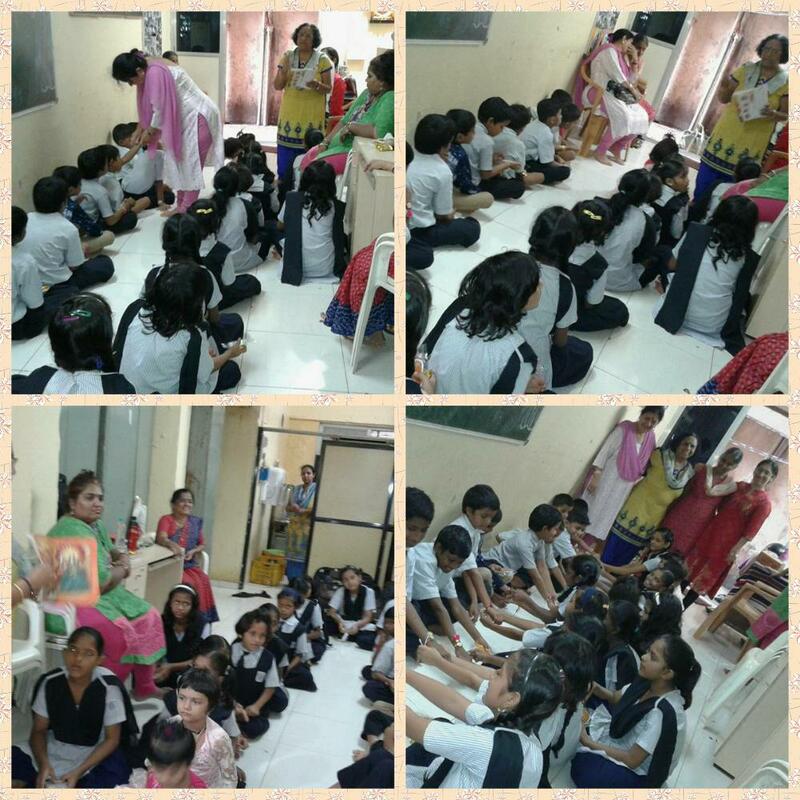 After bhajan, sai aarti and brahmarpanam, the girls tied rakhis to the boys and all male volunteers. 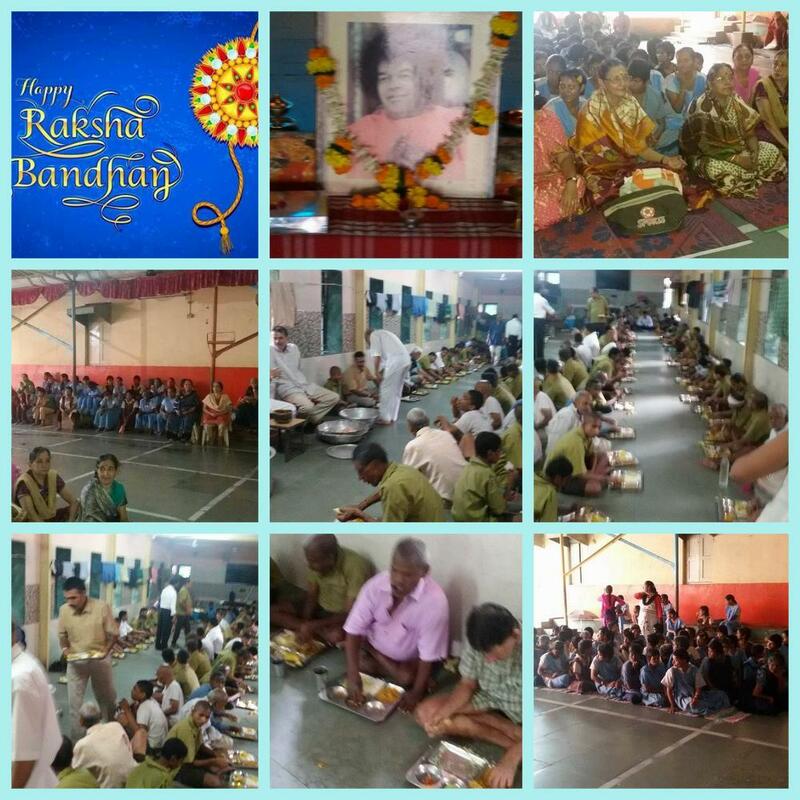 Samithi arranged for rakhis, necklaces, bracelets, other fancy Jewellery which the boys give in return to their sister inmates for tying the rakhi. 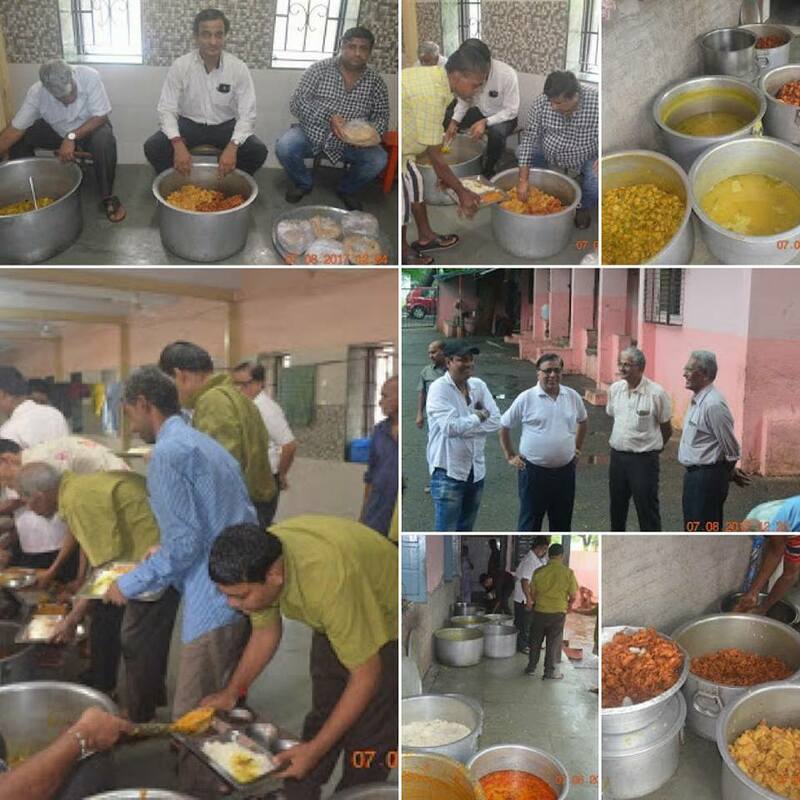 Full Narayanaseva was also prepared on site by Mulund Samithi for 350 persons, including 300 inmates and approx fifty sevadals and staff. 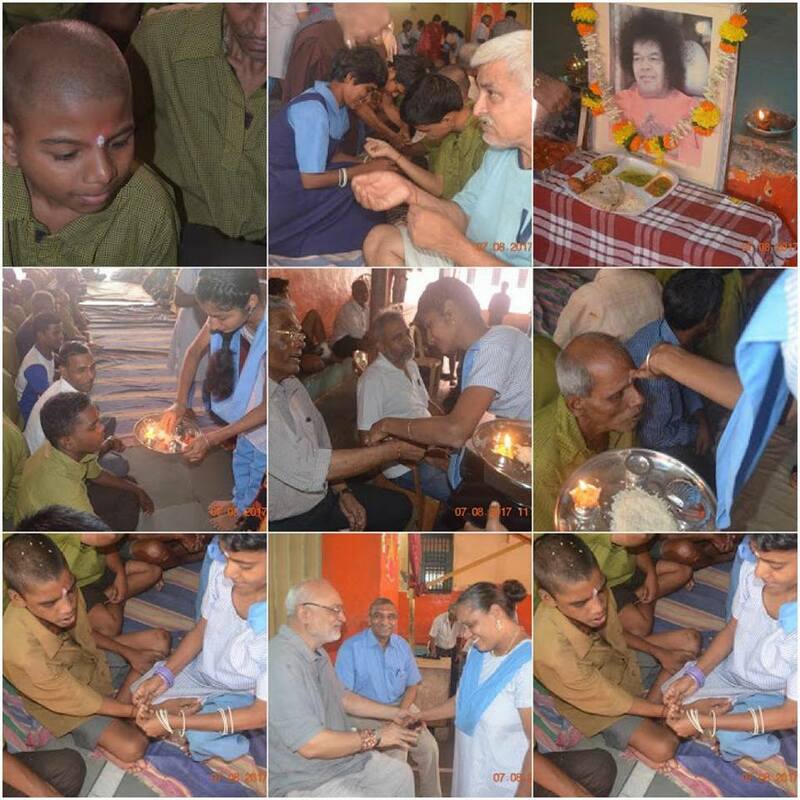 Baba's immense blessings thus brought a small cheer in the otherwise monotonous lives of the lovely children. 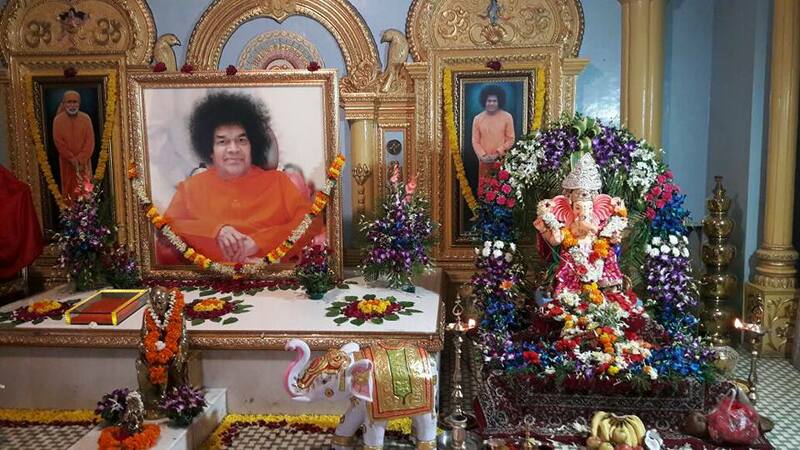 SAI RAM, SAI RAM, SAI RAM loudly and clearly in unison. 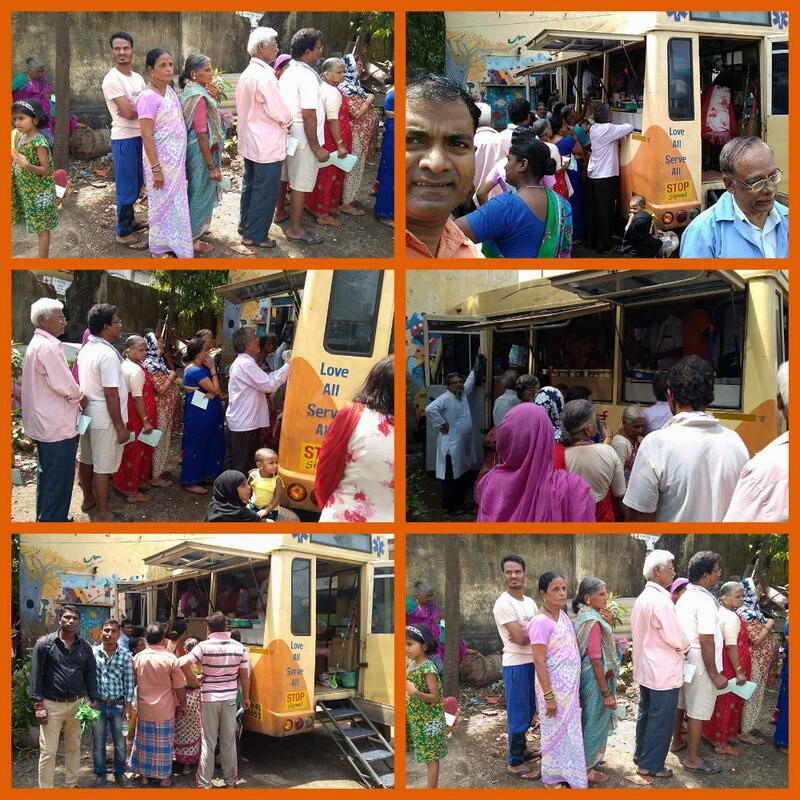 More than 2000 packets were distributed .This has-been regular excercise served every week by our Bhagwan Sri Sathya Sai Organisation Mumbai for last more than 2 decade . Disaster Awareness Programme - 5th August 2017 - Dharmakshetra. Sharing some pictures of a spiritual talk rendered by Shri Rituraj held at Shanti Sudha Premises in Bandra Samithi. An ardent devotee who not only walks & talks on Swami's teachings but also reveals the benefits of Our Beloved Bhagwan's teachings. 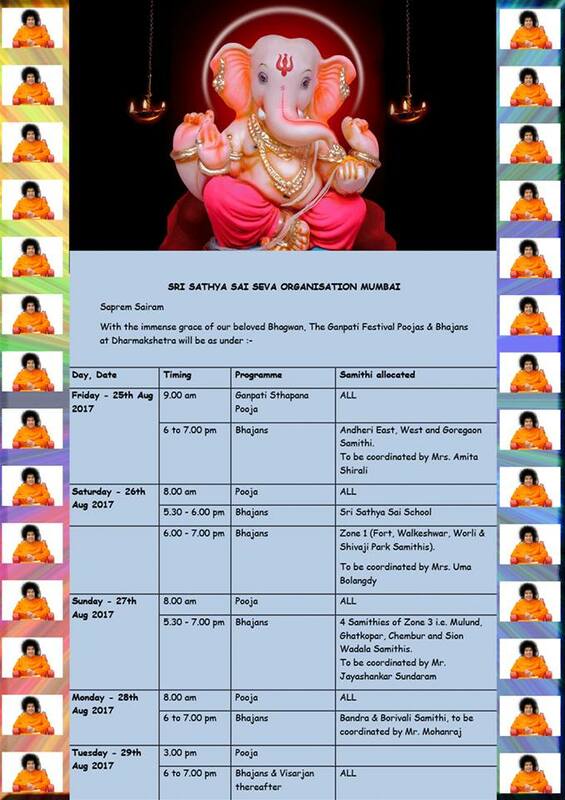 With Bhagawan’s Grace and Blessings, our 29th edition of SAMARPAN is scheduled on 20th August 2017, Sunday at the holy precincts of our very own Dharmakshetra, Mumbai. On such an occasion, we have an opportunity to listen to the leelas of the Lord from the devotees who were blessed with DIVINE association and relive those moments spent with HIM, re-connect with HIM and soak in HIS Divine presence. For this August edition of SAMARPAN, we are fortunate to have Sri Ruchir Desai Sir speaking to us, Blessed to be at Bhagawan’s lotus feet for over three decades, Sri Desai will be sharing his personal experiences & learnings in his talk. Besides innumerable interactions with Bhagawan as a student and as a lecturer, Sir was blessed to accompany Bhagawan on many trips to Kodaikanal and Mumbai . We were a family of four, happily residing in Mumbai in the 1980s when suddenly out of the blue we relocated to Puttaparthi. I say ‘out of the blue’ because my dad was working for a prestigious institution NITIE (National Institute of Industrial Engineering) and my sister and I were still schooling in Mumbai. We have often been asked what triggered such a sudden and drastic move. I think the thought had taken seed long ago and steadily gained shape over the years. But we had to wait for His call. Adharam madhuram vadanam madhuram...nayanam madhuram hasitam madhuram...madhuraadipate rakhilam madhuram. The Lord is, by His very nature, the very embodiment of sweetness. In every Avatar, that sweetness takes the form of unparalleled beauty and splendor which draws the entire universe to Him. 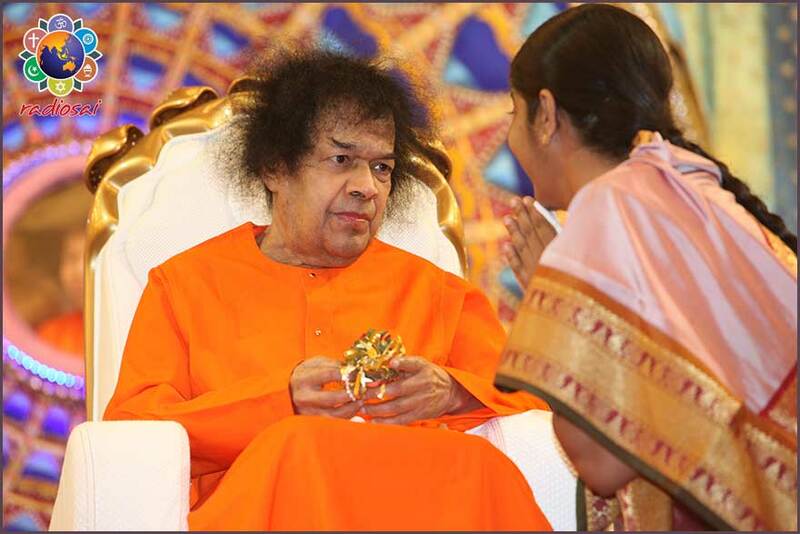 How fortunate are we to have seen such a Divine Beauty of Beauties in front of our eyes in the form of our most beloved Bhagawan Sri Sathya Sai Baba. We may not have seen Rama before, we may not have beheld the charming form of Krishna, but we have seen the grandeur of both of those avatars in this most glorious Sathya Sai Avatar. Indeed, we are so blessed...but especially blessed are those who had the fortune of witnessing this beautiful Lord during those early years when He radiated celestial youth, exuded supreme charm, and won each heart with that mesmerizing smile, those twinkling eyes, that majestic gait, and that infinite love. In this short rare video, we see glimpses of such a divine sight in the form of Bhagawan's visit to Mumbai in the year 1967. This was one of Swami's very early visits to the city, before even Dharmakshethra was present (in fact it was in this very year when the bhoomi pooja for Dharmakshethra which was to be inaugurated the following year was conducted). 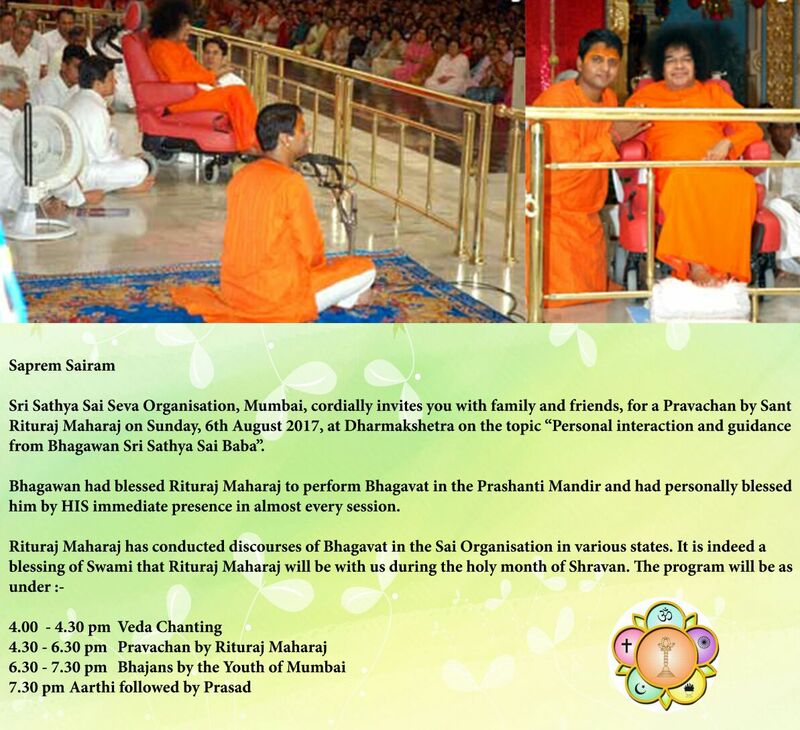 Sri Sathya Sai Seva Organisation, Mumbai, cordially invites you with family and friends for Pravachan by Sri Rituraj Maharaj on Sunday, 6th August 2017, at Dharmakshetra on the topic “Personal interaction and guidance from Bhagwan Sri Sathya Sai Baba”. Bhagawan had blessed Sri Rituraj Maharaj to perform Bhagavat in the Prashanti Mandir and Bhagawan had personally blessed him by HIS immediate presence in almost every session. Sri Rituraj Maharaj has conducted discourses of Bhagavat in the Sai Organization in various states. 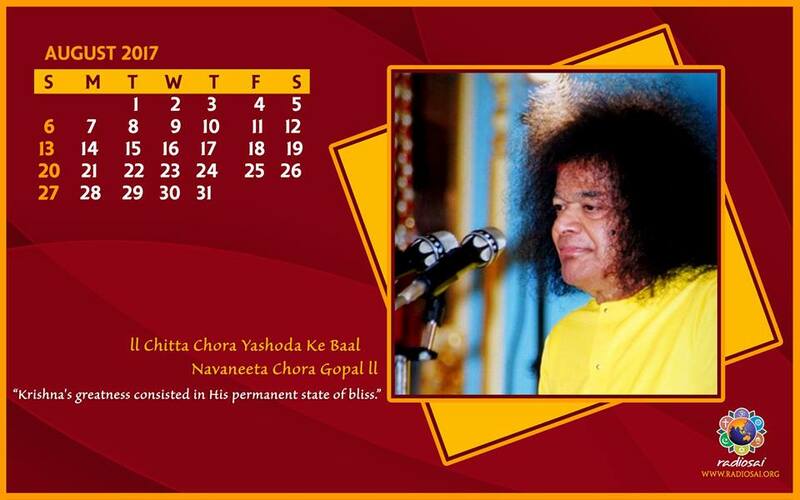 It is indeed a blessing of Swami that Sri Rituraj Maharaj will be with us during the holy month of Shravan. 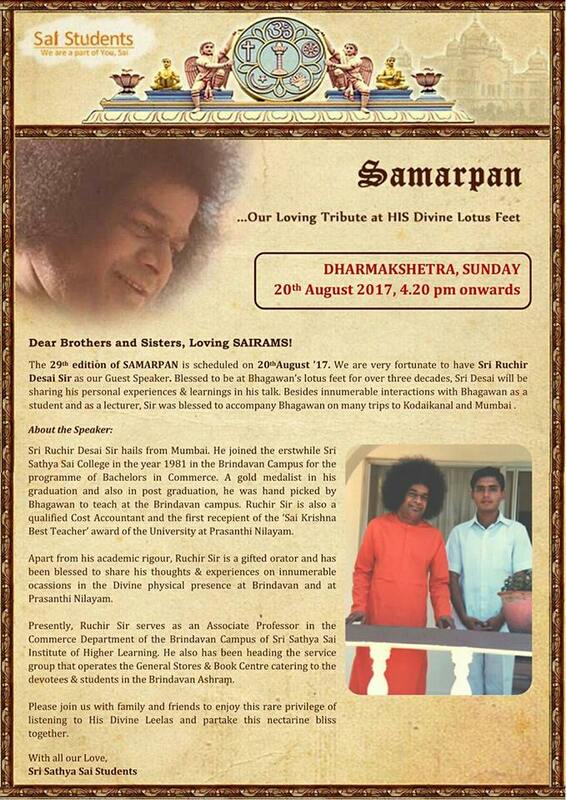 29th Samarpan Program Einvite - Talk by Sri Ruchir Desai at Dharmakshetra - 20th August 2017.